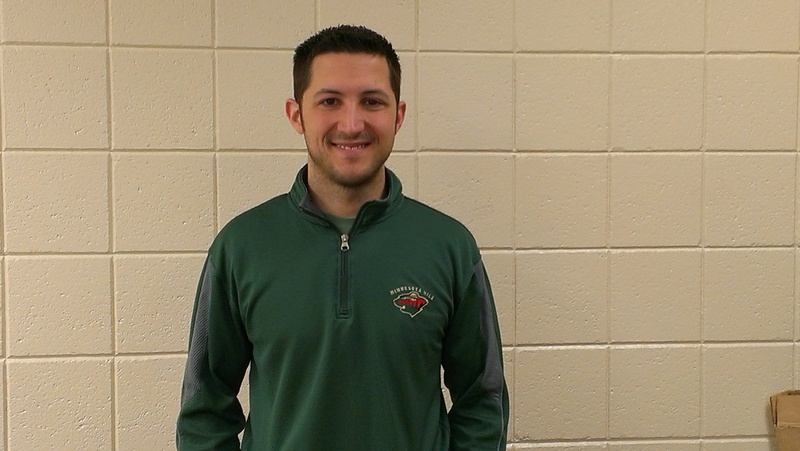 We are proud to announce that Rice Lake fifth grade teacher Denny Biljan is the only teacher in the state selected to attend the Mickelson Exxon Mobil Teachers Academy this summer. Participants are joined by math and science experts from the National Science Teachers Association and Math Solutions. The weeklong Academy deepens participants’ understanding of science and math and how children learn, and helps them discover innovative ways to teach. Mr. Biljan was selected from over 1, 500 applicants who had to describe their experience, passion, and hopes and dreams for the future. We are lucky to have Mr. Biljan working at Rice Lake and are pleased that he gets to continue his learning that will support all students. Way to go, Mr. Biljan! I have the privilege of reading the optional parent request forms as we work through the process of developing class lists for next year. In the past, I have shared the qualities that are mentioned most often when parents describe the type of teacher or classroom environment that would be best for their child. This year I have again collected the most common requests from parents. This year’s list is: Positive, Nurtuting, Uses Technology, Organized, Challenging, Communicative, Firm, Humorous, Artistic, and Calm. I titled this post “Superheroes Wanted” because, as a former classroom teacher, I know how hard it is to embody all of those characteristics all of the time. Thankfully, at Rice Lake, we have staff members who make it a priority to develop positive relationships with students and give them what they need to be successful. I also think about “Superheroes Wanted” when I have the opportunity to interview and bring new staff members to Rice Lake. 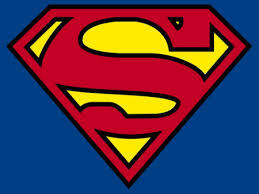 Now, if I could just have some of those superhero powers…. Spring is always a busy time at school because we are doing two things at once; teaching and learning for the final weeks of school and planning and preparing for the next school year. Our teachers are excellent at keeping the teaching and learning happening through the last day of school, albeit with more field trips, special events, and fun activities sprinkled throughout the weeks. We also focus on planning and preparing for next school year with our class placement process, budgeting, and staffing. This year all licensed staff members are helping with the planning by assisting one or more of six planning teams I established. I asked two licensed staff members to co-facilitate and manage each of the planning teams as they meet in April, May, and June to brainstorm, research, and make recommendations for next year. The six planning teams are: Digital Learning, Equity, PBIS, Scheduling, Student Support, and Transition. The Digital Learning Planning Team will focus on how we implement the district digital learning initiatives and support students and staff with that. The Equity Planning Team will review our systems of support and see how to provide more support and direction to insure that all students make equitable student achievement gains. The PBIS Planning Team will review our PBIS activities and prioritize our PBIS work for next year. The Scheduling Planning Team will develop a schedule draft that accounts for recess, lunch, prep, and WIN (What I Need) Time periods. The Student Support Planning Team will focus on our Child Study Team process, our Student Intervention Team procedures, and our Student Support Team practices. And, the Transition Planning Team will attend to activities, events, and practices in preparation for the grade reconfiguration from K-6 to preK-5 for the 2015-2016 school year. If any Rice Lake community members have ideas for any of these planning team, please let me know and I will direct those to the appropriate co-facilitators. Last Friday afternoon I had the opportunity to visit my neighborhood elementary school, Meadowbrook in Golden Valley, part of the Hopkins School District. I was conducting an evaluation of their second year of PBIS implementation. Because we are a PBIS school, I conduct evaluations for other PBIS schools in their first or second year of implementation. The Meadowbrook students and staff were well versed in their three rules/expectations of We Are Kind, We Are Safe, and We Are Ready and the climate and student behavior positively reflected those expectations. Here at Rice Lake, we are in our 4th year of PBIS implementation. We started out learning about PBIS and implementing some strategies in 2010-2011, was part of the Minnesota PBIS co-hort #7 during 2011-2012 and 2012-2013, and now during this year, 2013-2014, are in our first year of sustainability. PBIS allows us to identify, teach, and model expectations, establish a calm, respectful school environment, and use data to make necessary changes. One way that data has influenced us at Rice Lake is that for the past few years we noticed that a majority of our student behavior incident reports were coming from the playground, particularly during the last ten minutes of recess. To respond to that and to effect change, this year we flipped our lunch and recess. Now, students have recess first and lunch second. This change has drastically reduced the number of behavior incident reports issued during recess and teachers spend less class time processing issues that happen on the playground. With this change the playground is safer and students spend more time engaged in learning. One of the more enjoyable parts of our PBIS work is recognizing students for being respectful, engaging in learning, and showing responsibility. We do that by issuing “Right On Track” coupons to students for demonstrating RLR. Teachers recognize students in their classrooms and we draw the name of a deserving student from each grade level container housing the earned Right On Track coupons. 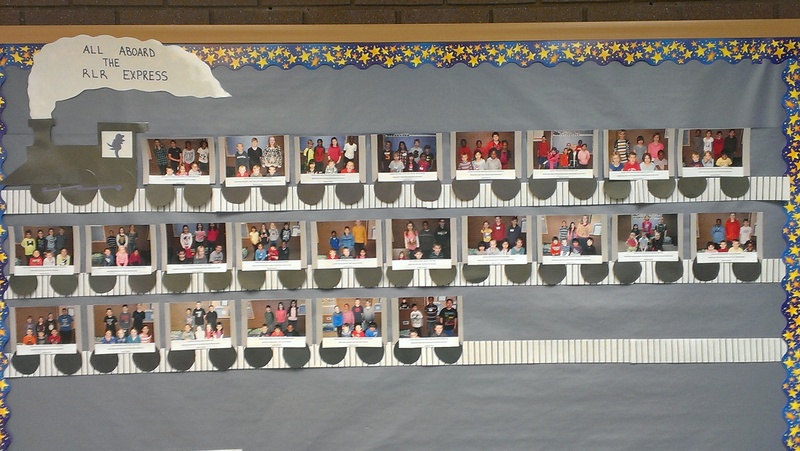 The picture in the blog is a display of our weekly honorees. We also recognize one student from each class as the Citizen of the Month and they receive a treat and certificate and their family members are invited to school to celebrate. Being a PBIS school is a great thing and has made a difference in the climate and culture of our school. Keep up the great work, Roadrunners! I Keep Learning, Even on Vacation! Tomorrow, April 7, 2014, I get to welcome students, families, and staff members back to school after spring break. I enjoy break for the time it gives me to reflect on the school year and to think, plan, and learn that I can apply to the remaining nine weeks of school. Even though I was out of school last week I got to spend time learning. Thanks to technology, I stayed connected with my personal learning networks through Twitter. 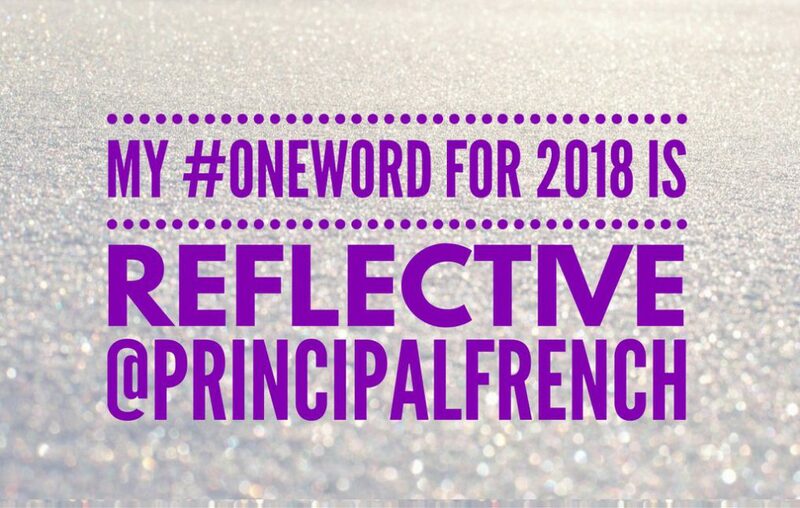 Most of my Twitter learning was reading others’ posts, retweeting inspiring quotes and messages, and thinking about ways to motivate staff members and engage students. I am collecting ideas to share as we venture into the 1-to-1 initiative next school year and as we welcome a new Technology Integration Specialist. I continued my learning during my travels in the Black Hills of South Dakota. I increased my knowledge of the history of Mt. Rushmore, the development of the town of Deadwood, and our National Park Service. I didn’t know there were so many affiliated sites within the National Park Service. On this trip alone I visited national parks, grasslands, forests, monuments, memorials, and trails. There is so much to see and do in this country. One of my personal goals is to visit all 50 states. I am almost there, having visited 44 of the 50 states. Last summer I checked off Alaska leaving only Connecticut, Maine, New Hampshire, Rhode Island, South Carolina, and Vermont to go! Even on vacation I keep learning and enjoy thinking of ways to share that with students, families, and staff members!